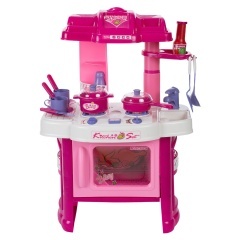 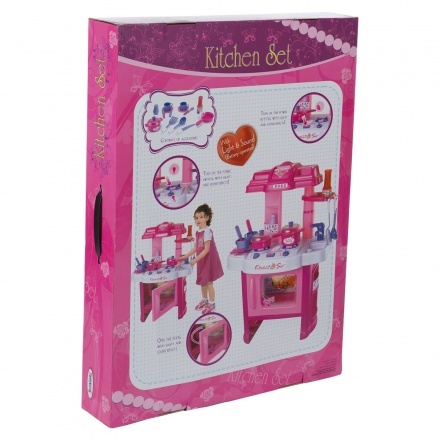 Set your girl for an imaginative playtime with this kitchen set. 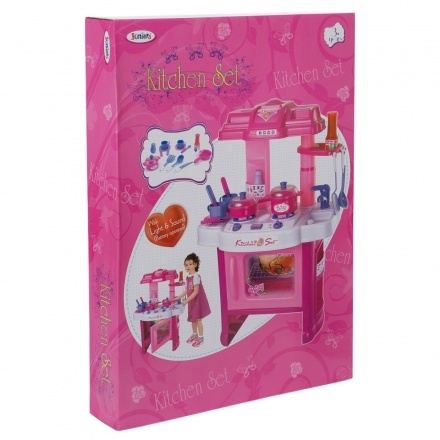 It comes in attractive shades and features crockery like spoon, knife, cooking pot, etc. 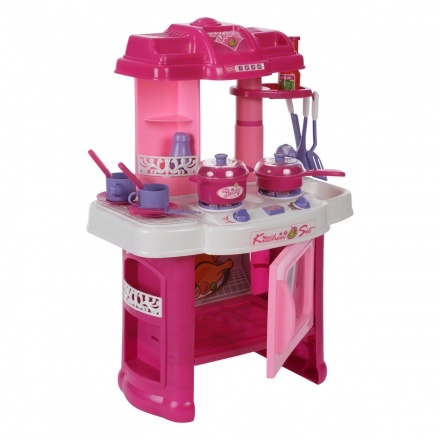 It also comes with a built-in microwave that your girl will love.